Tourism Malaysia has endorsed the raise of members. Pempena SDN.BHD, a national enterprise competely financed by the Malaysian government, guarantees the service execution Treasures SDN.BHD, a local subsidiary (joint venture with PEMPENA), is in charge of all tasks regarding the management and membership raise. Huelife Co., Ltd. is in charge of the reservation center management and member raise within Korea as the general agent of Malaysia Pass in Korea. 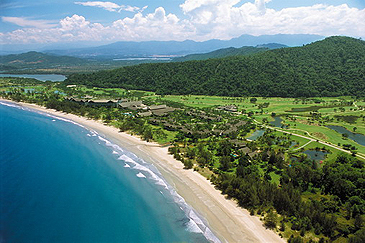 Malaysia Pass membership allows the use of 32 golf courses and 20 hotels and resorts within Malaysia for 10 years, and member treatment is guaranteed when using the various facilities. There are four categories for members: Gold, Family, VIP, Corp. All differing in price and number of staying nights. The benefits of Malaysia Pass are provided for 10 years with free green fee (all 32 golf courses), free stays at hotels (20 hotels and resorts), free meals (breakfast and lunch (when rounding golf)), and discounted benefits for use of facilities installed within the hotels and resorts. Furthermore, family discounts, free reception service, site-seeing discounts, issuing and sending service of airplane tickets, and invitations to regular members' tournaments will be provided. The special privilege of special applicants of Malaysia Pass member is only for the first 100 peoples. The said privilege is either tour voucher or five days four night free inspection tour (flight fare is not included) to be chosen.